Have you ever get bitten by the race bug? I’ve been bit…and now I need to cure it! Yesterday I saw a friend write up a Facebook status about joining a triathlon and I thought to myself “I want in! !” 😀 but refrained. Most of the restraint came form the face that USTA memberships are basically required for triathlons and are so expensive (and mins expired). I’ve got a big 10k coming up in October that is very important to me, but I need something in between. Perhaps an August race? Perhaps a September race? I need something! It’s been over a month since my last race. I ran a great 5k late-may (finished between 25-30 minutes) and a horrible 5k on Cinco de Mayo (it took me over 45 minutes to finish…I stopped counting). 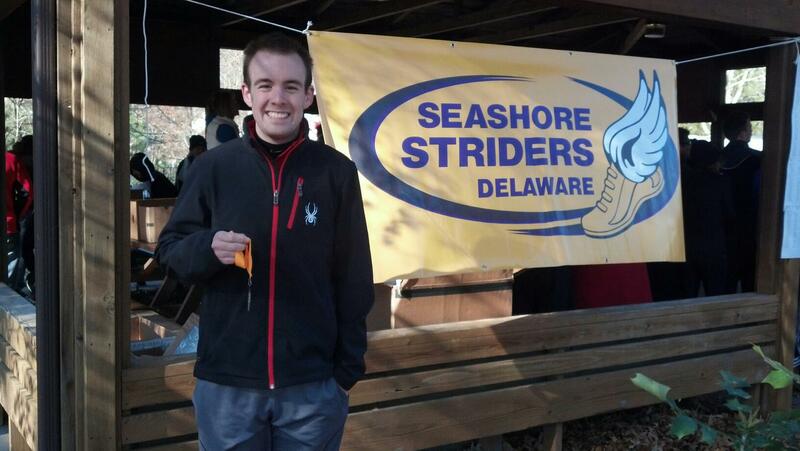 It was my first race back post-ankle fracture and I rolled my ankle over a speed bump. I cried my way to the finish line and my husband and mother-in-law helped me feel better. But that’s the past! I like to run…but I LOVE to race. People used to think I was crazy because I’d go run these races without any training and not die. However, I’ve never medaled in a distance race – I did all the time in track for sprinting – but I have yet to medal in any of the local 5k’s I enter. Usually the Boston-Marathon-Jacket-Wearing-Ladies and the Iron-Man-Tattoo-Clad-Women happen to be in my age group and BOOM there goes any shot. I’m in a competitive age group and I know I have a long ways to go before I medal. But I also know that I will get there! I want to win a medal one day that’s not a finisher’s medal (not that finishing is not a huge achievement). I always find it funny how right before a race you’re a little nervous…you might even be re-thinking the race…you might be a little scared…you might want to quit BUT as soon as you finish you are ready to sign up for another!! Let’s so it again!! So ladies and gents, I have been bit by the racing bug and need to find a fun 5k in the next month to run! Max and I really like a running group based out of Rehoboth, DE (where his parents live – I know we are veryyyy lucky because we get to visit them and they live by the water!). The group is called Seashore Striders and they have races every week or two, give great tech-shirts out to participants, use timing chips, and have medals for the top 3 men and women. 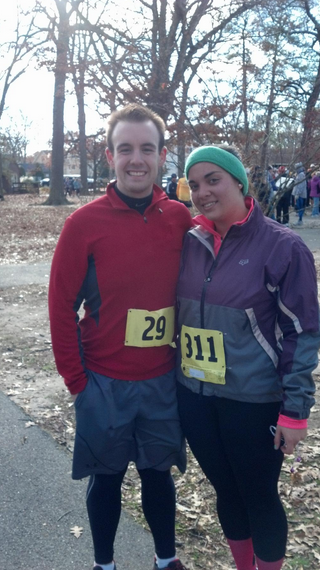 The best was the huff-and-puff for your pumpkin pie 5k the morning of Thanksgiving. The weather was cool but the leaves were beautiful and Mr. Husband won the 3rd place men’s medal! I was pretty jealous…so I walked around in it while we grabbed our post-race Starbucks coffee and like to pretend that it was mine. I was pretty proud of him! He’s pretty fast! He’s my cheerleader, my biggest motivator, and my inspiration. While we were in college he drastically changed his diet and fell in love with running to loose over 100 lbs! Racing together is one of the coolest things — I love it! We don’t run together because…well…I cannot keep up with him. But we race together and start together and it is always nice to have some there cheering for you when you cross the finish line. It’s nice to have the same hobby because he understands that I would rather get a box of Nuun as a gift instead of flowers and he knows that a great adventure out can include getting new running shoes! So what will it be? The SPCA race for the puppies 5k? The Labor Day 5k? Who knows! I need one! Ready—-set—–go!